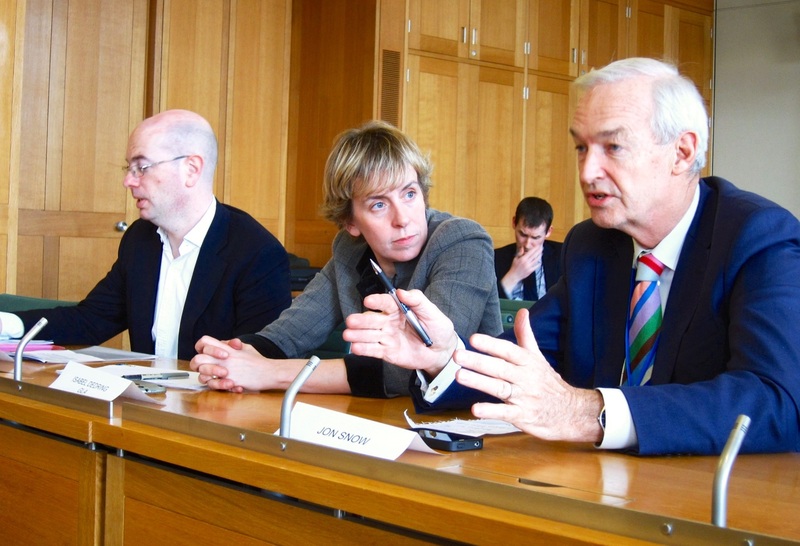 “The politician that takes leadership on cycling and really revolutionises it will leave a legacy for generations,” journalist and broadcaster Jon Show told the final session of the Get Britain Cycling inquiry yesterday. Snow, who is also President of the CTC, also told the inquiry that one thing the government could do to transform cycling is “make it compulsory for cycling provision to be included in all new road schemes.” Transport Minister Stephen Hammond – who also appeared at the inquiry – was sympathetic to this point. The sixth and final session of the Get Britain Cycling inquiry covered a range of issues including hearing from the Mayor of London’s new Cycling Commissioner, Andrew Gilligan, an expert from the Dutch Cycling Embassy, the Crown Prosecution Service and two government ministers. Two government ministers from the Department for Transport – Stephen Hammond and Norman Baker – agreed with the inquiry that cycling needs to be considered as a “mainstream form of transport.” Baker said that cross government meetings are happening and that this has led to “a greater understanding and commitment on cycling, including significant interest from the Prime Minister and the Deputy Prime Minister.” Stephen Hammond also agreed that it would be “sensible” for cycling to be incorporated into plans for new roads. Both ministers talked about the responsibilities of local authorities to encourage and promote cycling. Baker said that “all too often cycling is dealt with by a cycling officer who is considered junior. This needs to change.” Hammond also spoke about the need for the Highways Agency to include provision for cycling in all transport schemes. Isabel Dedring, London’s Deputy Mayor for Transport, admitted that while London “does consider the effects on cycling of new schemes, it isn’t working properly.” Dedring said this policy needs to be embedded at Transport for London, also adding that they are “looking at” putting restricting in place for HGV movements in the capital. Witnesses from the Crown Prosecution Service (CPS) and the Association of Chief Police Officers (ACPO) talked about sentencing in cases where cyclists and other vulnerable road users are hurt or killed on the road. ACPO’s Mark Milsom said that there is an “issue around sentencing for death by dangerous driving offences” before admitting to the inquiry that ACPO isn’t currently telling the police to enforce 20mph speed limits. The CPS’ Nick Hunt said that sentencing is “a matter for the courts.” When presented with the example of the high profile case of the motorist who killed cyclist Tom Ridgway and was given a £35 fine, Hunt said he wasn’t aware of this case. The Get Britain Cycling inquiry’s report, including recommendations for the government, will be published on the 24th of April.